Marchionne says merger door is not shut. 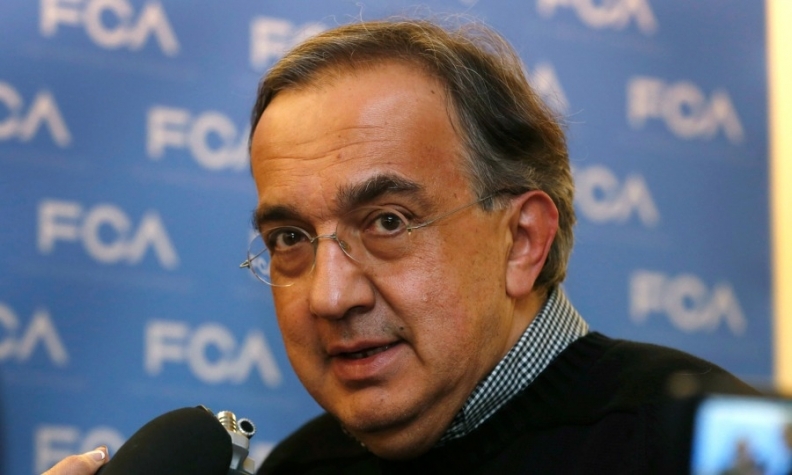 AMSTERDAM -- Fiat Chrysler Automobiles sees Toyota Motor Corp., Volkswagen Group and Ford Motor as the remaining potential merger candidates after its attempt to tie up with General Motors was rebuffed, CEO Sergio Marchionne said. "The door [on mergers] never closed, the need to consolidate does not go away" Marchionne told journalists on the sidelines of a shareholder meeting today in Amsterdam. Marchionne said he would be the one doing the merger if it happens during his tenure, which runs until the end of 2018, but if it is later than that, it would be "other people's problem." Marchionne also said Korean automakers were among the big players in the industry with whom there would be sufficient synergies to make a merger worthwhile, but added "the Koreans don't get married." The main big South Korean player is Hyundai Motor, which also controls the Kia brand.